In recent years, many factories have step by step improved their factory protection system, especially explosion protection systems in sensitive areas: petroleum storage, chemical at Factories, warehouses and warehouses in factories ... and areas with high fire and explosion potential. In recent times, we have been constantly seen in newspapers, the internet ... talking about many fires in factories ... causing millions of dollars in damage, causing loss of life, wealth and prestige of factories, enterprises. Part of the cause of these unfortunate events is human negligence, partly due to the lack of equipment and the management mechanism leading to continuous fire and explosion . - LED explosion proof 1, 2m. - Explosion proof T5 lamp, 1m. In this article, we will share with customers the product 1.2m LED explosion-proof for warehouse and factory locations, suitable for 3-4m height. .
- 1.2m LED bulb : These are 18W high power LEDs with 2835 SMD (1 row LED) and 3528 SMD (2 LED rows). Depending on demand, customers will choose one or two ball lights. Glass shells : The purpose of glass shells is to insulate, insulate, protect against dust and water. Transparent glass allows light to pass through easily and without losing light when passing through it. + Powder coated steel mesh : This is the important protection of the glass shell, it protects the glass layer from crashing when other equipment collide. In case of installing low-level explosion-proof lamps and many moving equipment ... it will work, so that the glass of the lamp is not broken when the other object hits the lamp. Electrostatic coating will withstand moisture and chemicals, which helps to keep the stainless steel wire in a long time. 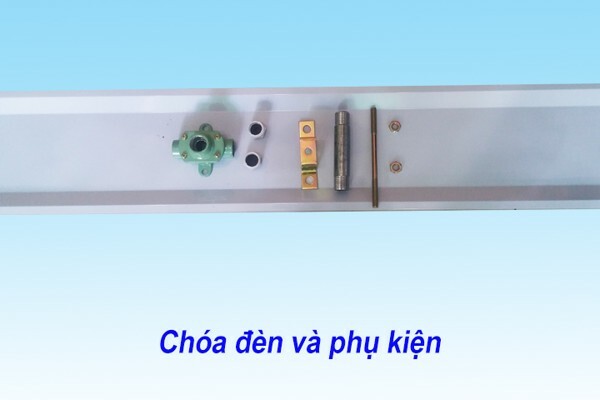 Aluminum bar connecting the two lights : This is a component to help the lamp is added firmly, outside the glass and stainless steel mesh. This aluminum bar further strengthens and protects the LED from the weight of the lamp when it is mounted in the interior. + Electrostatic powder coated head: Two explosion-proof head lights are made of aluminum, with heavy weight. Its purpose is to keep, connecting all the lights together for sure. The lamp holder is also used to store the fluorescent light bulb, however, when attached to an LED, this feature is not used. + Explosion-Proof Lamps : Made of powder coated steel, the purpose of this detector is when outdoors it protects the lamp when it rains, in addition it helps reflect and collect light (for fluorescent lights), but when using the AMBEE LED, this lens only has the effect of protecting the lamp when it rains. AMBEE 1.2m LED explosion-proof design is especially lightweight, suitable for a variety of uses: warehouse, chemical station, petrol station, combustible material store. We have been supplying several thousand of these lights to the market every month. Due to its lightweight, easy-to-install, low-cost and high-quality product, the explosion-proof LED lamps are very popular. We also have other types of explosion-proof lamps for other purposes. - AMBEE explosion-proof LEDs are 4-5 times longer than incandescent fluorescent lamps. The only difference between the lamps is the LED and fluorescent. - The power savings of the AMBEE explosion-proof LEDs are 60% higher than the incandescent fluorescent lamps. - The brightness of the explosion-proof LEDs is much brighter than the T8 / T10 fluorescent lamps (36W / 40W). 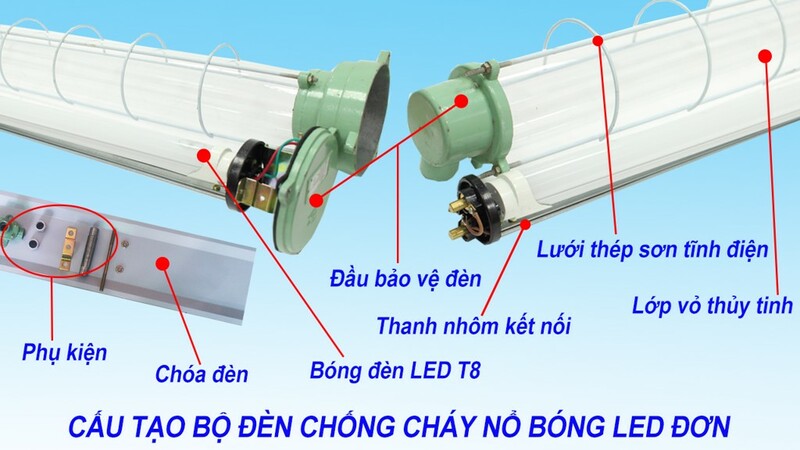 Because the design of the explosion-proof lamp is a glass tube box, when the fluorescent lamp is attached, the brightness is dispersed around 360 degrees. However, with AMBEE LEDs it is not necessary to use reflectors for indoor installation, because the brightness of the LED is focused on the surface down to a 120 degree angle. In the case of outdoor lighting installation, reflective sheeting protects rainwater from entering the lamp. - The light of the AMBEE explosion-proof LED with the color rendering of Ra> 85 is very good for the eyes of staff working continuously at the factory (anti-eying at long working time) and ensure identification The color of the product is more accurate when it is installed in the cargo hold. - Explosion-Proof LEDs do not emit ultraviolet rays, ultraviolet rays and light materials that are recyclable, user-friendly and environmentally friendly.